Future growth in urbanization will mainly occur in cities of the rising south. UN Habitat reports that in the past decade, the urban population in emerging economies grew on average 1.2 million people per week. By 2050, it is expected that seven out of ten people will be living in cities. Accompanying urbanization, information and communication technologies have also seen unprecedented growth in recent decades. Currently there are more active mobile connections (7.8 billion) than people in the world, with penetration rates being large even in low-income economies (89 subscriptions per 100 people). With most of the energy demand, urbanization and connectivity growth in the coming decades occurring in low and lower-middle income countries, it is crucial to understand how technology will work in these diverse contexts and how it will blend with behavior, culture and context, and to understand its challenges and highlight opportunities, for users and urban services. Diego’s presentation explores demand-side, user-centered, sustainable decarbonization in resource constrained environments at multiple scales. He will address how an appreciation of context and the co-design of information services can be used to design technology that works for and empowers users, and fulfils the goals of the intended engineered services. The myriad of bottom-up top-down challenges for scaling these types of interventions will be discussed, as well as opportunities for future research. 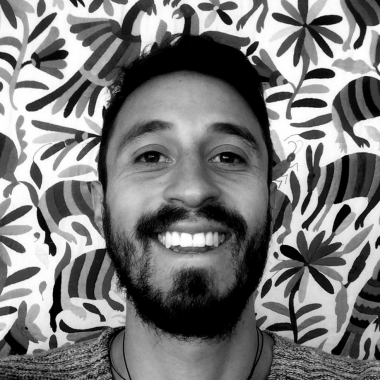 Diego Ponce de Leon Barido is a recent PhD graduate of the Energy and Resources Group, and is a Link Foundation, National Geographic Energy Challenge, and UC-CONACYT fellow. His past and future work is at the intersection of data science for sustainability, sensor networks, and behavioral science.